Ever heard of Mighty No. 9? Well, if you ever liked the old Mega Man games you might want to continue reading. A Kickstarter project from developer Comcept, Mighty No. 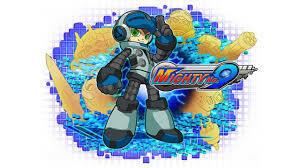 9 is already in the works and will be the highly anticipated spiritual successor to the Mega Man franchise. They just hit a little over $1.3 million and still have 28 days left to go! $2,500,000 – Xbox 360/PS3/Wii U version! The $2.5 million mark seems very enticing. Console versions of a Mega Man-esque game?! Sounds amazing! Now, at this point if you find yourself wondering about who exactly is Comcept, then have no fear. The developer is headed by none other than Keiji Inafune, one of the original creators of Mega Man. He has been a part of over 30 releases of the Mega Man titles and will be the face of this project. He has complete creative control and will be calling the shots. His team is also an all-star team of people involved with the development of several Mega Man games throughout the years. Need more info? Check out their Kickstarter page and back it if you are or ever were a fan of this franchise. I am very excited to see how this turns out and the concept art so far looks great. What do you think? Sound off in the comments below.